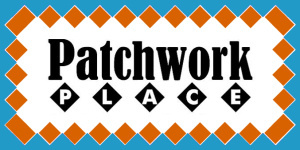 Patchwork Place is locally owned and has one of the largest and most varied selection of patchwork fabric and equipment in Western Australia. Staffed by happy, knowledgeable and experienced ladies who will always be able to help you and ensure your visit is pleasurable and inspirational. We endeavour to keep abreast of current developments, fabric trends and new equipment, while still maintaining the traditional ideals. Many patterns used are exclusive to Patchwork Place. Workshops are run all year round catering for beginners and even the most experienced quilters.